High School Juniors, Start Your Engines! Secrets to Getting into a Top College…REVEALED! 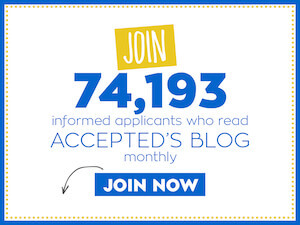 Check out Accepted.com's newest special report! High school juniors…start your engines! The road to acceptance at your top choice college may seem long and tedious; the key to making it down that road successfully lies in starting your college applications early and staying focused through the long haul. In our newest special report, Preparing for College in High School: A To-Do List for Eleventh Graders, college admissions expert Whitney Bruce will teach you where, when, and how to begin the college application process so that you arrive at your final destination smoothly and efficiently, with as few roadblocks as possible! Pre-application tips arranged by month to help you stay organized. Important information about how to interpret your PSAT results. The facts about building your resume and pursuing a summer job. Start your application prep today when you download Preparing for College in High School: A To-Do List for Eleventh Graders now!